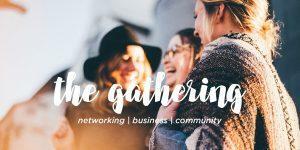 the gathering – networking/business/community – are you in? Join Works, Factory, JXN Station, and Vault Real Estate Community, the local Western Slope coworking spaces, for a night of business, networking, and community. Coworking brings together a community of developers, designers, tech entrepreneurs, educators, and individuals together to work, live, and thrive in beautiful Mesa County! The spaces are inhabited by small companies, freelancers, and remote workers, or people in town who need to get some work done in an environment that is conducive to productivity and surrounded by a community. The Gathering is a quarterly meeting, hosted at the different coworking spaces. On December 6, JXN Station will host the inaugural “gathering” from 5:30 p.m. – 7:00 p.m. No charge, and there will be beverages and snacks available as you mingle and network.